Stylish design and ultimate comfort make the KICK X GOLF(R) branded headwear the only choice for looking and feeling great on and off the course! 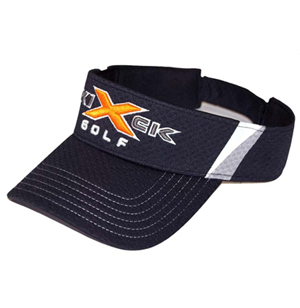 The KICK X GOLF(R) logo-embroidered visor offers unmatched fabric performance with breathability and comfort features, all designed to help you look and play your best. Structured build features breathable high-performance moisture-wicking fabric for the ultimate in comfort and fit. Comfort tapped panel seams, with full-color logo on front.